one of four installation views. Sculpture/Installation in various materials, including a 4 m section of "First Chimney II"; a building site container, scaffolding, bricks, a screen printed sign, etc. 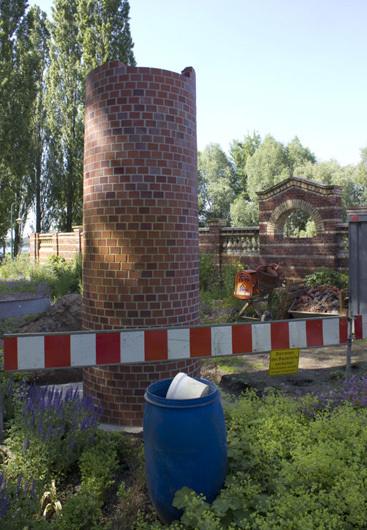 Made for the exhibition "Spiele im Park" (12.6.2011  2.10.2011), curated by Max Hollein and Martin Engler.